In a strong effort today, PBS backed their existence by releasing a statement to combat Mitt Romney’s attack last night regarding cutting funding for the broadcast network. The comment last night unleashed an uproar on social media sites, thousands of people posted pictures and comments in support of Big Bird. Meanwhile, PBS crafted their own message to prove that they are vital to continue under government support. See the statement here. When I thought about the results of last night’s debate, I truly believed that Romney pulled out a victory with his confidence and poise. Although he came off a little angry and defensive (particularly at the beginning of the debate), he proved that he had prepared for the discussion of the economy. Obama just looked exhausted and annoyed. 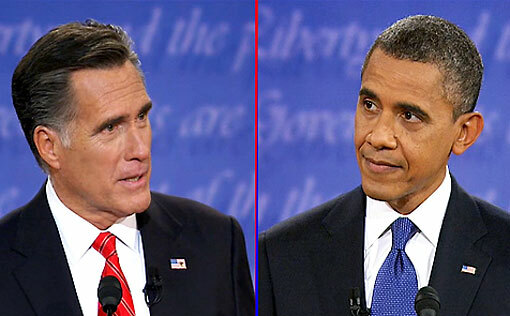 Romney had him on the defensive throughout the evening and he just seemed to fail to respond to any of the attacks. Even still, Romney ended the night with more questions than answers. He failed to explain his tax plan or even how he would close loopholes. He failed to do more than take jabs at Obama and leave himself open for further criticism once the facts are sifted through and his statements are compared to those earlier on the campaign trail. Meanwhile, Obama was able to continue to dig at Romney’s failure to define how he would both cut taxes and the deficit with either concept of a plan. So what questions arise from the ashes of the first battle? Will Romney ever give us a straight answer on his plans? What loopholes is he going to close and who will they benefit? Will “Obamacare” be so detrimental to the American people and could the states actually handle the development of their own programs as Romney suggests? Will Candy Crowley be able to reign these guys in for debate #2? First we get to see the train wreck of a vice presidential debate on October 11th.